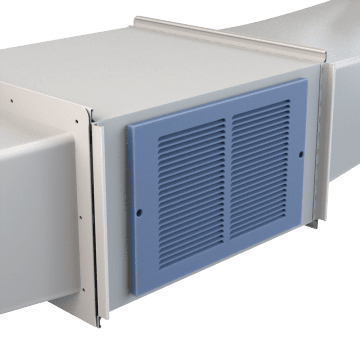 Add these faceplates at air supply or return points (also known as vent points) for free airflow between rooms or floors. They don't have a damper for manual control of air flow, so air circulates freely back to the central heating or cooling unit. 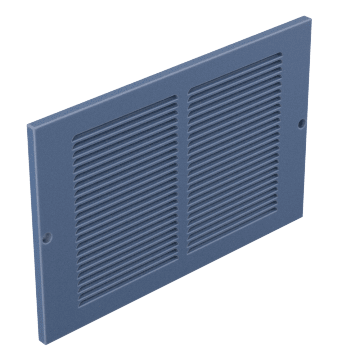 Mount these grilles at the end of ducts. 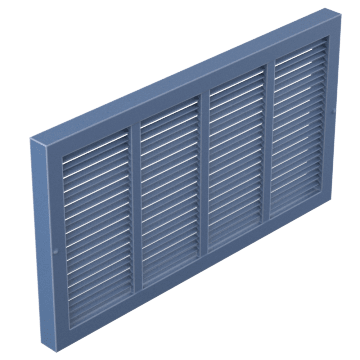 Put a filter in these duct-mounted grilles to remove dust, allergens, and other particles from air as it flows through. 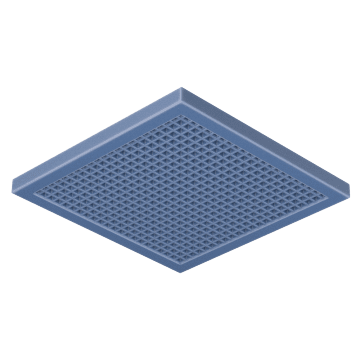 They hold standard 1" filters and have a hinged face plate for easy access when installing and replacing the filter. Fit these grilles into T-bar or drop ceilings to allow airflow while providing a finished look.